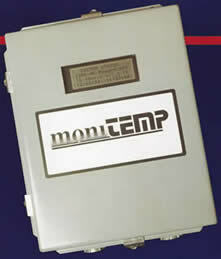 Business Tech Applications, Inc. has acquired exclusive rights to moniTEMP™, the leading temperature averager used in crude oil custody transfer, during the 1990's. moniTEMP™ has not be manufactured or supported since 2001. Business Tech Applications, Inc. has been contacted by moniTEMP™ users that have them in use today and require a source for support and new units. Business Tech Applications, Inc. is pleased to announce that a new PC board set has been designed and manufactured for the moniTEMP™, bringing it up to date with current technology and making it supportable. A limited number of new (old stock) parts are available and will be used to maintain older moniTEMP™ units. These will be made available on a first come, first served basis. Copyright 2009 - 2018. Business Tech Applications, Inc. All rights reserved.